APS Testalensis 100 Review - (Learn the truth) Does It Really Work? How Does APS Testalensis 100 work? Should you buy APS Testalensis 100? Testalensis 100 is a natural testosterone optimizer. It is manufactured by APS Nutrition. It claims to increase testosterone levels with 100:1 standardized Bulbine Natalensis extract. It can increase human growth hormone (HGH), inhibit estrogen, and speed up the process of muscle growth. Serving size is 3 capsules. Each serving contains Testalensis Proprietary Blend 2250mg, Divanillyltetrahydrofuran, Bulbine Natalensis 100:1, Mucuna Pruriens, Fadogia Agretis, Zinc Aspartate, Vitamin D3 (Cholecalciferol). Testalensis 100 claims to help build muscles while regulating estrogen. Boasting 100:1 ratio of the herb Bulbine Natalensis, Testalensis 100 claims to be 100 times stronger than other supplements in its category. 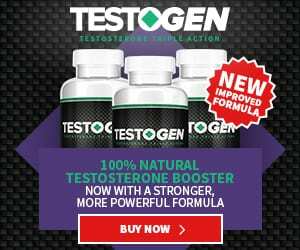 APS Testalensis can pass as a decent anti-estrogen or testosterone booster, but the manufacturers have chosen not to disclose complete details of the ingredients used in its formula. One of the main ingredients is Bulbine Natalensis, which is often labeled as Prolensis in other supplements, has not been tested on humans. The animal testing did show a promise for boosting testosterone, but it also indicated toxicity in the kidney and liver. We can’t recommend any Bulbine-based product until several established human experiments have been performed.